The leaves are turning and you’re looking for the best fall activities? 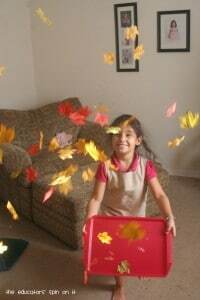 Explore these 10 Fun and Easy Fall Leaf Activities for Preschoolers and Toddlers! Plus rake up some of our favorite Leaf Books for Fall! Having the season change is so much fun with little ones, especially when you plan for preschool leaf crafts and leaf projects. I’ve gathered some of my favorite Autumn activities for your toddlers and preschoolers. 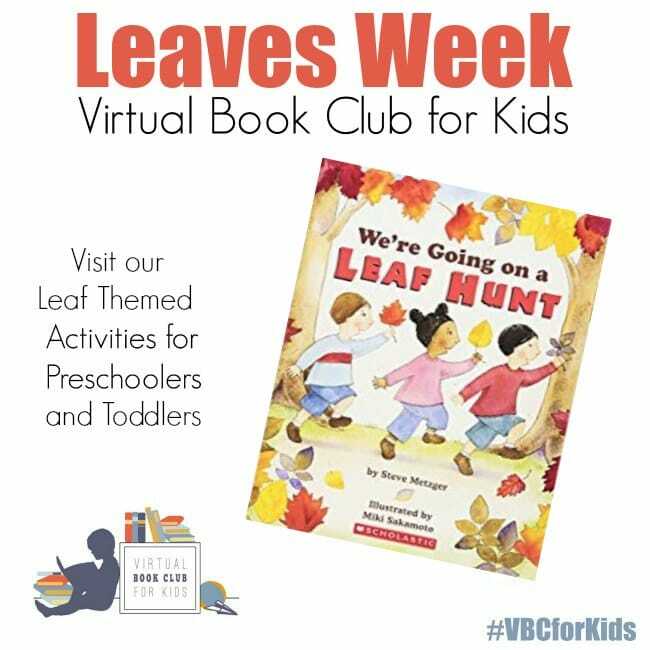 Leaves are the last week’s theme of our September Book Club Series, for this theme we’re featuring activities for the book We’re Going on a Leaf Hunt. Disclosure: Amazon Affiliate links used in this post. 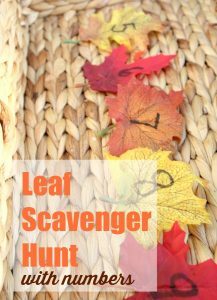 Are you ready for some easy learning ideas and fall leaf crafts for Preschoolers? 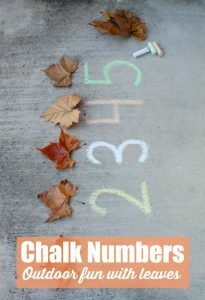 Head outdoors and enjoy the cooler weather with this Sidewalk Chalk Number Games with Leaves. 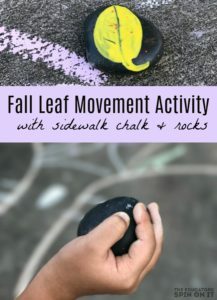 Work on eye hand coordination outside with an adorable Fall Leaf Movement Activity with Chalk and Rocks. Get Hands on with a full fall sensory experience! 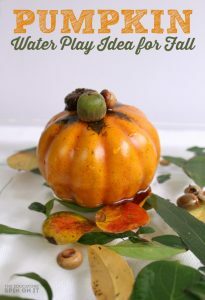 Create this Water Play for Fall with Pumpkin, Leaf and Acorns. 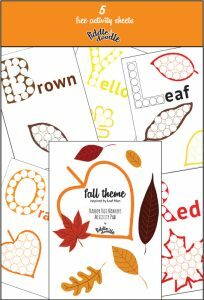 Make your very own Leaf Flip book using this easy design for your child. 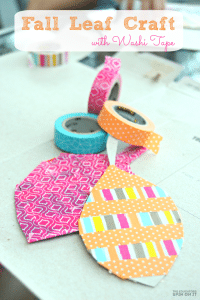 Get a little craft with washi tape! Make your own Fall Leaf Design and Hang on your pretend fall tree. 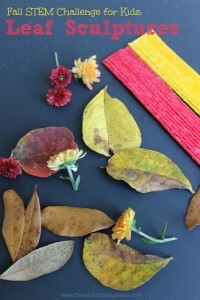 Take the Fall STEM Challenge with Leaves! On your walks you can look for the signs of Fall with your child? Download this Fall Journal to keep track together! There are so many adorable books about fall leaves I wanted to put together a helpful list just for you! Head to the library and check them out this fall or add them to your cart on Amazon. I’ve linked them there for easy shopping. Pick a few for some memorable moments reading together this fall. 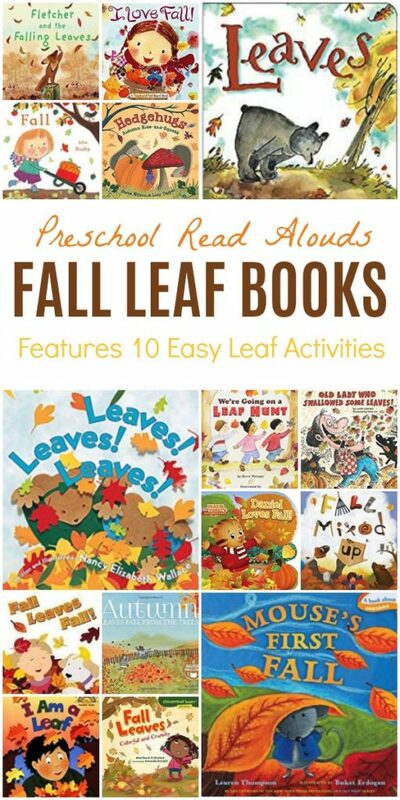 Grab a blanket and head under the fall trees for these adorable fall leaf books for your child. Let me know in the comments which leaf book is your child’s favorite! Did I miss any fall leaf books? Tell me in the comments section! Parents make this list your Fall Lesson Plan for your Preschooler or Toddler! 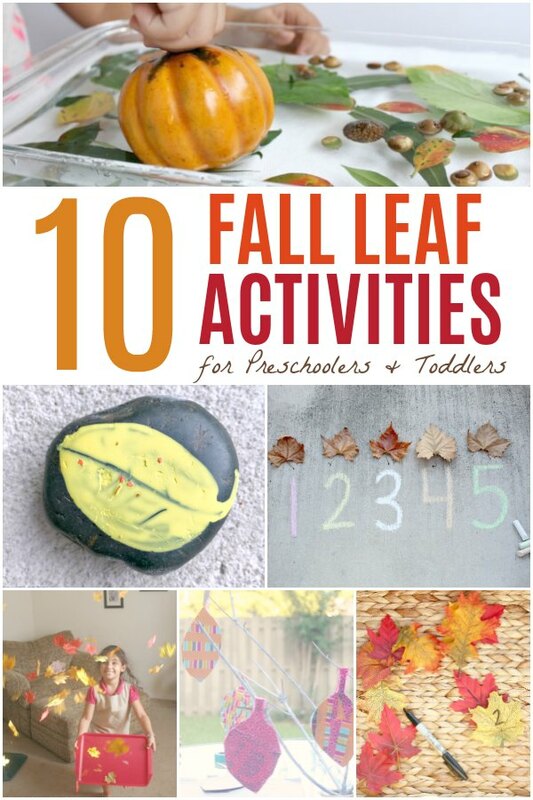 There are so many skills they can work on with these 10 Leaf Activities. Love this fall book list! 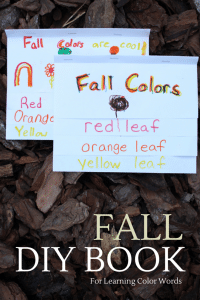 These books are excellent segues into going on a “field trip” outside with your child to gather colorful leaves together, sort them by size, shape, or color! Another fun idea to do with leaves is to place a piece of blank paper on top of the leaf and rub a crayon over top of it to see the leaf’s imprint come to life!